Many people’s first choice is a commercial dry cleaners. You can point out spots and ask dry cleaners to pay special attention to those areas — whether it’s ring-around-the-collar or a red wine stain. It helps if you know what spilled on the clothing (for example, coffee or chocolate) and tell them, so they use the most effective stain-removal chemicals. And, of course, the clothes are professionally ironed and bagged. Before dropping clothes off at the dry cleaners closest to your house, though, call all the local cleaners and ask their prices for specific types of garments — for example, a blazer and pants. You may find that the price varies widely — and it pays to patronize the business with the best prices. Other cleaners’ prices in my town range from $6.45 to $7.29 for the very same items — from 50 to 71 percent higher! Dry Clean City is part of a chain, and the prices in some cities are even less than $4.25, as each franchisee sets his or her own prices. For example, a Dry Clean City in Charlotte, N.C., charges $2.49 per item. Check to see if there’s one in your area. The savings that results from using the dry cleaners with the lowest price really adds up if you take many clothes to be cleaned! An even cheaper way to freshen dry-clean-only clothing is to use a home dry cleaning product such as Dryel. I’ve used it for years, and found that it doesn’t work well on clothing with stains — sometimes transferring the spot to another area on the same piece of clothing! But it does work well to freshen clothing that’s not heavily soiled. 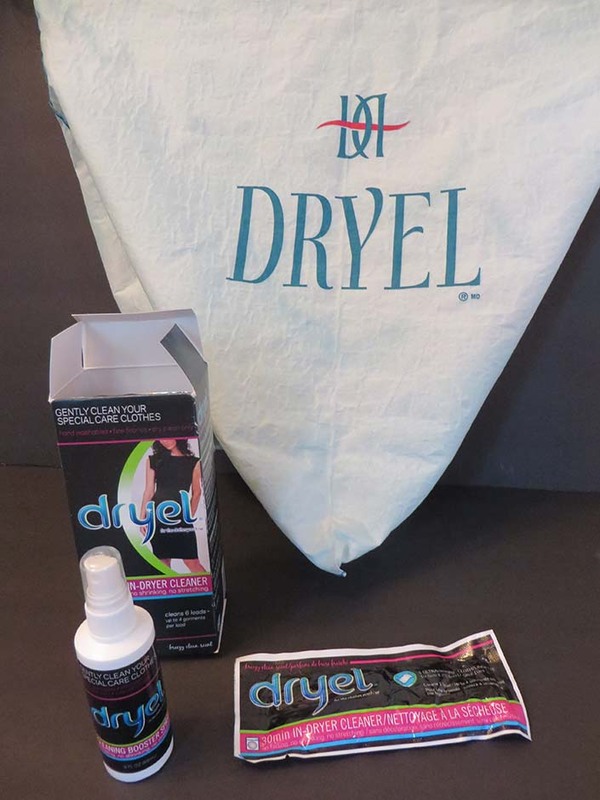 Dryel comes with a reusable dryer bag, a small bottle of stain remover and four individually packaged cleaning cloths, which you insert in the bag along with up to four pieces of clothing (16 items total). Then you spin the bag in the dryer for about half an hour to “dry clean” them. Dryer packs cost about $6.99 — and refill packs, which contain a bottle of stain remover and six cloths that clean up to 4 garments a load (24 items) — are available for approximately $9. The cost per item using the initial packet is a low $.30, and it’s (surprisingly!) slightly higher ($.38) if you already have the dryer bag and buy refill packs. Your clothing isn’t professionally ironed and returned in a plastic bag, but, then again, you don’t have to leave the house to clean them. And when they emerge from the dryer, they’re virtually wrinkle free if you hang them up right away — and they smell good. Whichever dry cleaning method suits you, be sure to compare prices and save money on dry cleaning! Enter your email address below to subscribe to this blog. Click “confirm” on the email confirmation you’ll receive and then you’ll receive notifications of all new posts by email. 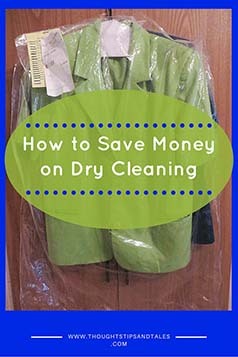 This entry was posted in dry cleaning, how to save money on dry cleaning, money saver, money-saving ideas, money-saving tips, saving money and tagged dry cleaning, dry cleaning savings, how to save money, how to save money on dry cleaning, how to save on dry cleaning, money-saving ideas, save on dry cleaning, saving money, saving money on dry cleaning. Bookmark the permalink. I think whenever you buy something you should compare prices and services so you get the best price for the best service. This is true in dry cleaning as well. It’s important to pick a good but reasonably priced service. That way you can trust that your clothes will come out looking nice and you can afford it. These are some great tips, and I appreciate your advice to tell the dry cleaner what you spilled on your suit. I didn’t realize that doing so could make the removal of the stain more effective! I spilled some coffee on my suit the other day, so I was going to take it into the dry cleaner, and I’ll be sure to mention what it was that spilled. Thanks for the great post! These are some great tips, and I appreciate your advice to tell the dry cleaner what you spilled on your suit. I really like your tip “call all local cleaners and ask their prices for specific types of garments.” My husband and I just moved to a new town and are in need of a new dry cleaning service. My husband has to wear suits to work so having a reliable place with good prices is what we need. I think that calling ahead and asking for prices is a really smart thing to do, I’ll have to keep that in mind.